Today is Craig’s sixty-ninth birthday, so I decided to dedicate this week’s post to him. Craig was born in Mason City Iowa. His father, Donald, was the son of an Iowa farmer. Donald served in the army and returned from World War II to become an accountant. Shortly after Craig was born, his father contracted Polio as many people did at that time. Craig also had polio. I can’t even imagine the torment his mother, Mary, went through knowing that her whole family could be wiped out by that disease. Donald did pass away, but Craig recovered. When Craig was three years old, his mother moved them to Phoenix, Arizona. In time, all of Mary’s brothers and sister moved to Arizona as well. When Craig was nine years old, his mother married Rex Farley and they purchased a home on Stella Lane. Soon Craig’s brother Kevin was born, followed thirteen months later by his brother Mark. In high school, Craig developed (no pun intended) an interest in photography–taking sports photos and photos for the yearbook. That was how we met. We were both seniors at Washington High School. I was in lots of clubs which gave Craig plenty of opportunities to take my picture. It is not surprising that I am in our senior yearbook so many times. Craig was able to turn his love of photography into a career. He worked as a school photographer and a wedding photographer. Later, he became an aerial photographer, flying all over the valley shooting pictures through a hole in the bottom of the plane. He is responsible for many of the murals you see in museums. Throughout his working years, Craig has owned many businesses–a Circle K franchise, Radio Shack, video store, satellite installation, and low voltage contracting. This required him to work far beyond the typical forty-hour week. In spite of that he was always able fit in time for his family and community. In addition to camping trips and family vacations Craig was involved in all our children’s activities. 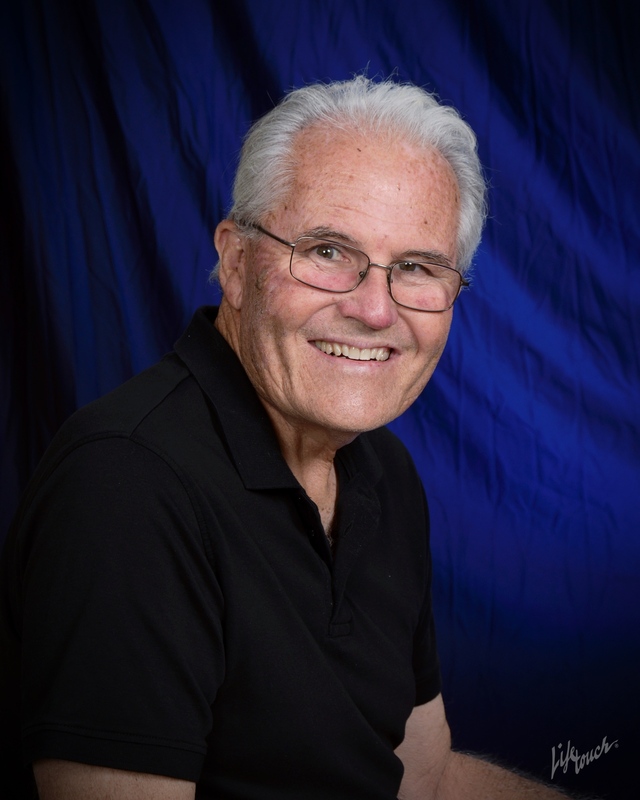 He helped build and operate the bicycle motocross track in Chandler. He coached Little League and helped with Boy Scouts. Craig has been involved in every community we have lived in. In Chandler, he was the president of the Chandler Jaycees and later the Arizona Jaycees. He was the chairman of the board for the MARC Center in Mesa–an organization for children and adults with cognitive challenges. In Prescott Valley, he was an assistant to the Scout leader and president of the church council. He also assisted with Special Olympics. Since we moved to Chino Valley, Craig has served as an eucharistic minister at our church. He was also the sponsor of Prescott Oasis–a self-advocacy group for adults with disabilities. A longtime hobby Craig has enjoyed is raising and training treeing walkers. He has entered them in competitions around the state of Arizona as well as California and New Mexico. His dogs won countless awards for field trials, water races and bench shows. 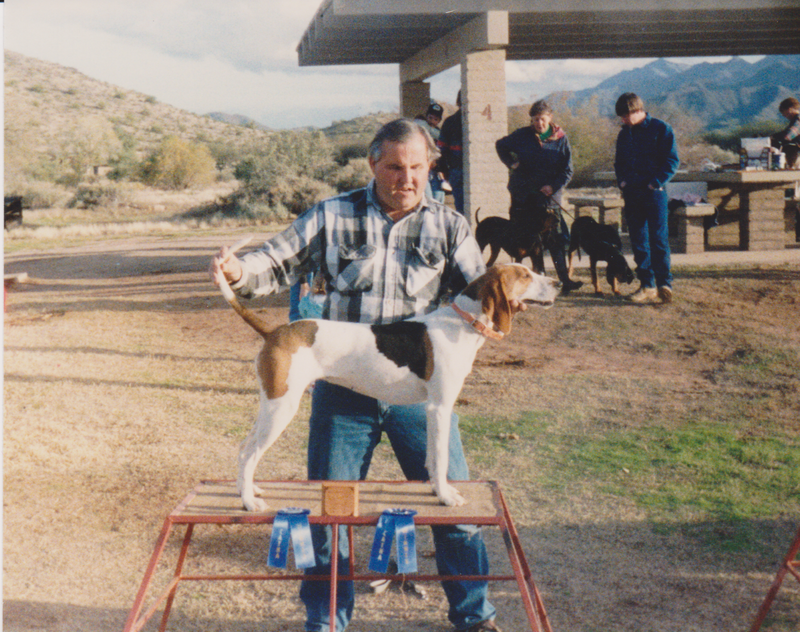 He was a certified bench show judge for many years with the United Kennel Club. Now retired, Craig continues to be a loving, supportive husband, father and grandfather. An avid hiker, he has traveled most of the trails in our beautiful Arizona highlands. For me, he has always been and continues to be my soulmate and helpmate. I’m so thankful for the years we’ve had together and look forward to those remaining. You did a wonderful job of capturing dads accomplishments and success. I have learned so much from this man. I can work on a car, roof a house, sight in a satellite dish, do just about any kind of construction because of all the skills he taught me. I love him so much and would not be the man I am today without him. Thank you so much for saying this. I read it to your dad and he was greatly moved. We have been together all these years, but I was even surprised at all he has done when I put it all together. Rosemary & Craig, I appreciate and respect all that Craig has accomplished. He has been an example to me in all the Special Olympics activities I’ve participated in. As S. O. Area Leaders, you & Craig were great leaders, and very patient with me. The Bradshaw Mountain Special Olympics is the BEST! Thanks! Bruce, Vernie & Justin Jaeger. Thanks, Bruce. Seeing how Craig is now with dementia, it is sometimes easy to forget the man he was. I want to make sure I never forget.